Here at Eat Clean Health, we’re big on flushing toxins out of the body. Build-up in the body leads to skin problems, weight gain, low energy, poor digestion, and a weakened immune system. Eating clean, physical activity, adequate sleep, and low stress all contribute to overall wellness, and for those looking for an extra kick, apple cider vinegar is simple, affordable way to alkalize the body, improve skin tone, metabolize fat, and flush toxins from the body. 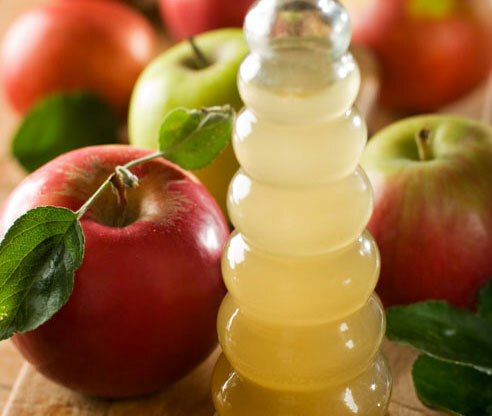 When choosing Apple Cider Vinegar (ACV), always opt for raw, organic apple cider vinegar, as it has ‘the mother’. ‘The mother’ contains enzymes, protein molecules, and bacteria; all beneficial to the body, specifically the digestive system. ACV is extremely potent, so many people like to dilute theirs in water or salad dressing. Also keep in mind that ACV is extremely acidic, so be mindful of tooth enamel. Treating the numerous health concerns listed above can be as simple as sneaking Apple Cider Vinegar into your daily diet through water, smoothies, salad dressings, or even a plain ol’ shot! To get you started, this is one of Eat Clean Health’s favorite salad dressings, made with Braggs Organic Raw Unfiltered Apple Cider Vinegar. Directions: Whisk all the ingredients together in a small bowl until well combined. Store in glass jar or salad dressing container. Keeps up to 2 weeks refrigerated. 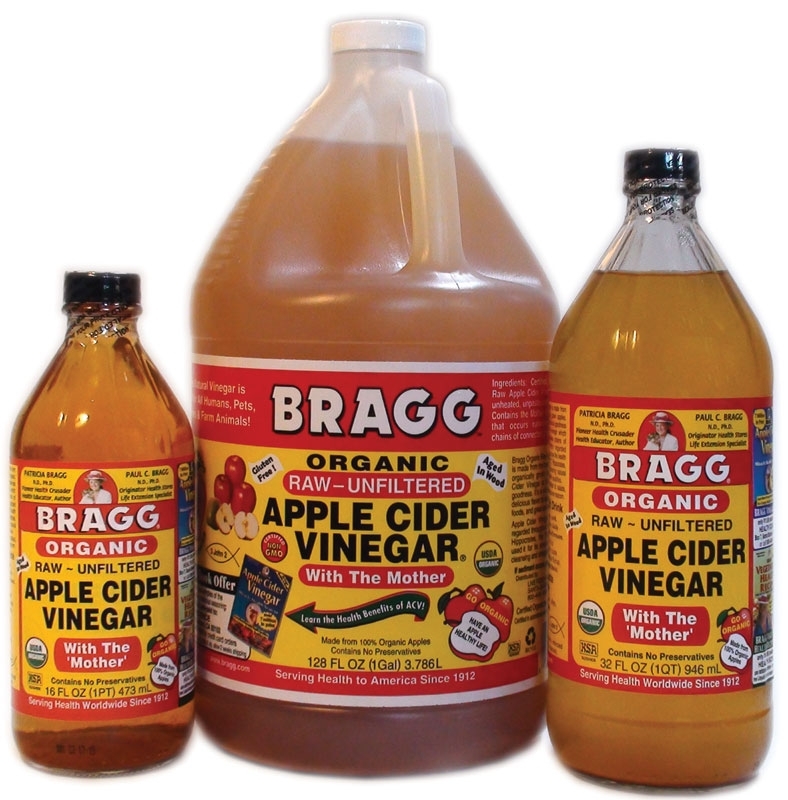 If you’d like more recipe ideas that incorporate ACV, Bragg.com is a wonderful resource. And of course, don’t forget to visit Eat Clean Health for additional resources, recipes, nutrition programs, and inspiration! Categories: Health and Wellness, Nutrition, Nutrition Program(s), Preventative Health, Recipe(s), Salad | Tags: ACV, Apple, Apple Cider Vinegar, Body, clean eating, Eat Clean Health, health, healthy recipes, PH, Raw foodism, Salad | Permalink. Summer is delicious. It’s not just warm weather, family vacations, and time away from the grind; it’s the food! With an abundance of fresh fruit, farmers markets, and longer days, one of the tastiest ways to embrace the joy of summer is to cut up your favorite fruit and munch away! 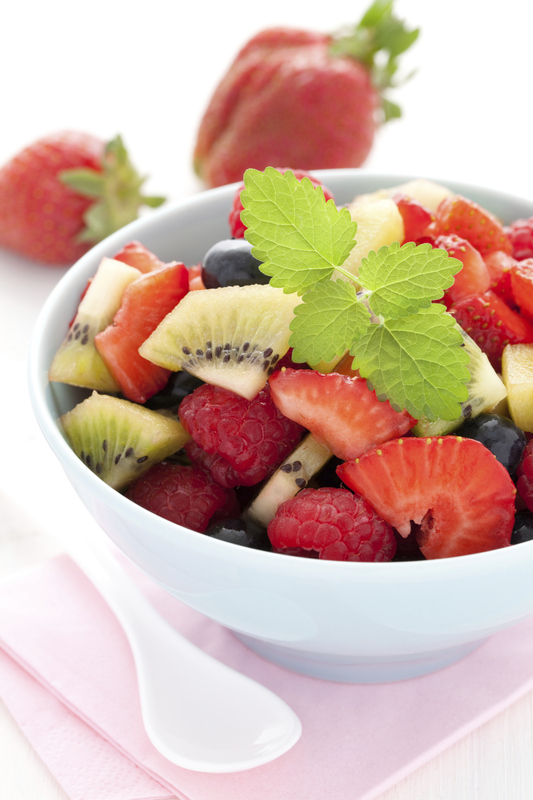 Many fruit salad’s call for added sugar, honey, or syrup. No need, I say! By its very nature, fresh, whole fruit is sweet enough, providing a plethora of vitamins, minerals, fiber, and energizing flavor. Below is a deliciously refreshing tropical summer fruit salad recipe. Feel free to inter-change the selection of fruit depending on your personal tastes. Use what’s local, if you can, and as always: Keep it Clean! 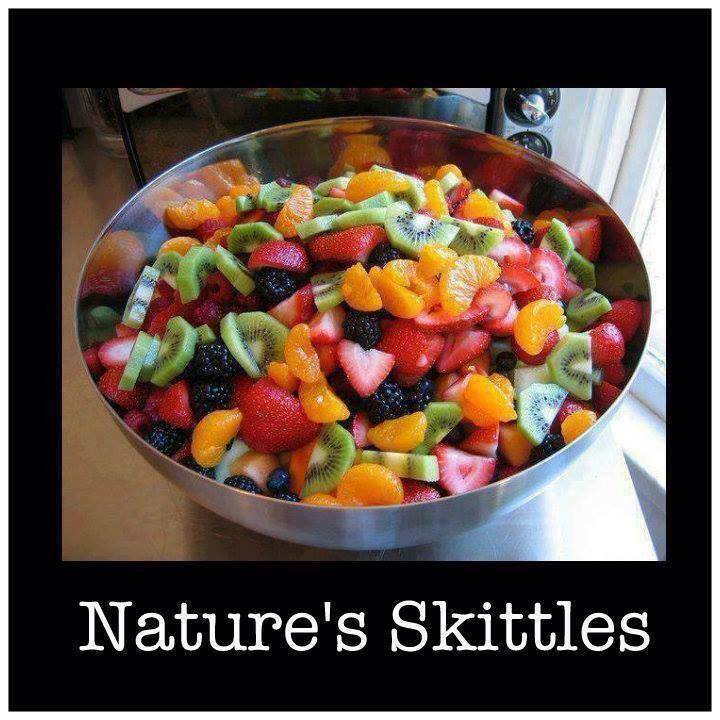 Directions: Combine all the fruit into a large bowl and toss. Add fresh mint and mix well. If desired, sprinkle coconut over top and serve! Categories: Dessert, Nutrition, Recipe(s), Salad | Tags: Business, Cook, detox, famers market, Fruit, healthy eating, Home, Limes, Mentha, Olive oil, Salad, summer recipes, Weight loss | Permalink. When you think about bacteria, the first image that comes to mind is probably not delicious. When it comes to your food, however, fermented foods supply the stomach with probiotics, which balance the good bacteria in your body and promote vibrant, balance health. In a nutshell, fermented foods are rich in digestive enzymes, enhance the flavor of food, and restore balance to the body. Who knew that bacteria could be so beneficial?! Shred cabbage in 1 inch strips. Mix with half the salt. Let stand 30 minutes. Rinse and drain. Mix the onions, garlic, ginger, chili pepper, and the rest of salt. 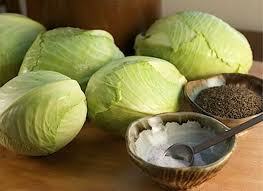 Add cabbage and mix well. 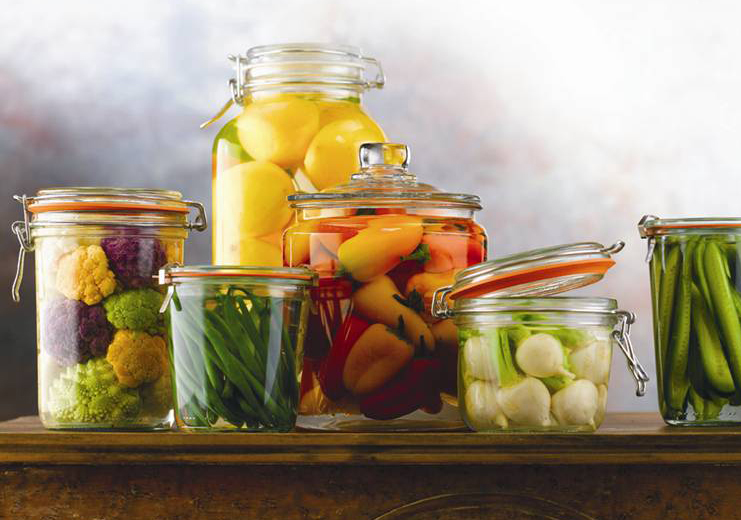 Pack into a crock or glass jar. Add enough cold water to cover the vegetables, cover container and set aside in cool place 5 days. Taste after 5 days to see if vegetables are pickled. If not, let stand 2 more days. Chill and serve. For this recipe and more, visit Eat Clean Health and register for the 14 Day Detox, specifically designed to help you lose weight, boost metabolism, detox your body, increase your energy, and burn fat. Categories: Health and Wellness, Nutrition, Nutrition Program(s), Preventative Health, Recipe(s), Salad, Vegetable | Tags: Cabbage, Chili pepper, Cooking, Fermentation, fermented foods, Food, Fruit and Vegetable, Garlic, glowing skin, health, healthy recipes, Home, Kimchi, kitchen, Probiotic, Sea salt, Shopping, Tablespoon, Weight loss | Permalink. You hear, see, and read about it everywhere these days. Eat Kale! This catch-phrase is so much more than a health trend; it’s undoubtedly one of the healthiest things you can do for your overall health and wellness. In case you’re still debating whether or not to jump on the ‘eat kale’ bandwagon, here are the top 7 reasons to get ‘krazy’ for kale. Kale is LOADED with powerful antioxidants. Good for everything from cancer, heart disease, skin health, and chronic illness, antioxidants are the body’s greatest support system. Delightfully, kale is chock full of them, so eat up! Kale reduces inflammation. Inflammation is one the leading causes of chronic illness, but the omega 3’s found in kale battle arthritis, autoimmune disorders, and asthma. Kale is a great source of iron. Iron is responsible for proper cell growth, healthy liver function, and transporting oxygen to numerous parts of the body. When people think iron, beef usually comes to mind, but kale actually has more iron per calorie than beef. Kale boosts the heart. Eating kale supports a strong cardiovascular system, which is great for athletes and non-athlete’s alike. Kale oxygenates the blood, encouraging stronger blood flow, more energy, and a positive outlook. Kale is high in Vitamin A, C, and K. Whew, talk about one super-loaded superfood. These vitamins protect the body from cancer, support a healthy immune system, boost metabolism, and support bone health. Kale is loaded with calcium. 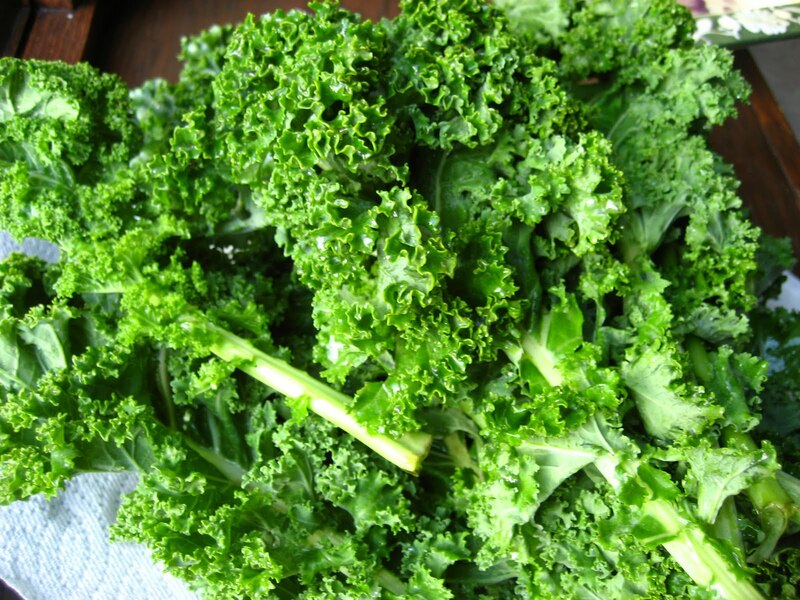 Here’s a piece of fun trivia: Kale has more calcium than milk! Besides broccoli, eating kale is hands-down the healthiest way to support healthy bones and prevent osteoporosis. Kale is high in fiber. Fiber moves toxins out of the body, aides in digestion, eliminates waste, and lowers cholesterol. Plus it’s more fun to eat than Metamucil. Convinced yet?! I thought so. Categories: Nutrition, Recipe(s), Salad, Vegetable | Tags: anti-inflammation, Antioxidant, Chronic (medicine), diet, Eats, green food, health, Heart disease, iron, kale, Metamucil, Vitamin, vitamin K | Permalink.